While there are millions of Internet businesses profiting today, not all business owners are able to operate exclusively online. Local clients cannot be replaced by virtual customers in some lines of business. There are some things that are very difficult if not impossible to ship. There are some businessmen who simply do not want to work with customers over the Internet. While all of these business owners will try to reach customers in their local communities, they all have a need for Internet marketing. 1. You have local competitors to beat, but if you are not marketing at least with your own website you may be losing that competition right now. Your marketing plan is not just about promoting your products or services. Your promotional strategies should send the message that you are far better than whatever your competitors are putting out there.Millions of small businesses are already advertising online in some manner, and those businesses come from every imaginable industry. Want to find out who has beat you to the punch? Just search online for a few of the local businesses you know are your main competitors. You may be surprised how many have their own websites and are being advertised on Facebook. You want to keep the playing field even by going online to compete with other businesses in your local region. 2. Consumers in your local area go online looking for information, products and services every single day. There are millions of people online at any given second and they are searching for more than a bit of information. Millions of people make purchases online every year. 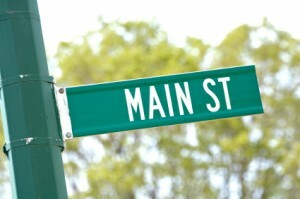 Many people are also searching out local businesses online to ensure they make the best shopping decisions. If a customer down the street were looking online for services you can provide, would they be likely to find you efficiently and determine that you are their best option? 3. You are not required to sell products through the Internet to market online. This is the issue that gets many local businesses messed up. So many people think that you must sell online and ship packages out to take advantage of Internet marketing. This is simply untrue. There are many people using the Internet just to find data to contact local businesses. Many customers do not need to purchase your products online, but they will search for basic contact information or to find out where you are located and what you may be offering. If you are not available online to take care of these customers, you can assure some of your competitors will be there eager to greet them. Many consumers are in a rush, so they want to use the company that gives them what they need at the exact time they need it without them leaving their homes. 4. Online marketing does not have to represent all of your marketing plan. There are many different ways to market your business, and as a local business owner you probably will not do all of your marketing through the Internet. You just need to make sure you are available online for those local consumers who do go searching for businesses in that manner. You at least have to create an online presence so you can be found by those who do go looking online. 5. Customers are now using business reviews as a research tool to decide where to invest their money. It was once sufficient to get a jingle into the consumer’s head or promote a splashy ad in a local paper to get customers, but many local shoppers are now becoming very savvy shoppers. Money is too important today to give away to just anyone, so most people are carefully choosing where they hand over their dollars. If you encourage your customers to leave reviews online in some way, those reviews can become a valuable advertising tool for your business. 6. Not all online marketing strategies cost a fortune. You do not have to give up most of your marketing budget to establish a reputable online presence.There are many things you can do to promote your local business online for minimal cost, but you have to be willing to allocate a bit of time. For instance, you don’t have to spend much money at all if you start marketing through Google Plus and Facebook. Think of online marketing as an opportunity to prove you are the best in your field in your local area. There are people you have not yet connected with in your local community, and many of them are online.